Venditto, 68, of North Massapequa, former longtime Oyster Bay Town supervisor, surrendered to the Nassau district attorney’s office Thursday. In one indictment, Venditto was charged with corrupt use of position or authority, a felony; three counts of official misconduct, a misdemeanor; and conspiracy in the sixth degree, a misdemeanor. If convicted of the top count, he faces up to 1-1/3 years to 4 years in prison. In another indictment, he was charged with two counts of defrauding the government, a felony; two counts of official misconduct, a misdemeanor; and conspiracy in the fifth degree, a misdemeanor. If convicted of the top counts, Venditto faces up to 1-1/3 years to 4 years in prison for each. Pleaded not guilty. Released on his own recognizance. 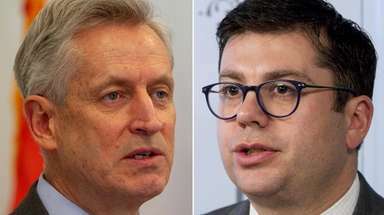 In October, Venditto and Nassau County Executive Edward Mangano were arrested and charged by federal authorities with receiving “bribes and kickbacks” from a businessman who also gave Mangano’s wife a lucrative no-show job. The federal corruption charges center on a relationship involving Mangano, Venditto and a person identified only as a co-conspirator in the 13-count indictment, but whom sources identified as Long Island restaurateur Harendra Singh, who had held the concession agreements at the Oyster Bay Town golf course and Tobay Beach. Singh was arrested in September 2015 on federal charges of bribery, income-tax evasion and obstruction of justice and has pleaded not guilty. Antetomaso, 77, of Massapequa, former Oyster Bay Town public works commissioner, surrendered to authorities. Antetomaso was charged in one indictment with official misconduct and theft of services, a misdemeanor. In another indictment, he was charged with conspiracy in the fifth degree, a misdemeanor. If convicted, Antetomaso faces up to 1 year in prison on each charge if convicted. 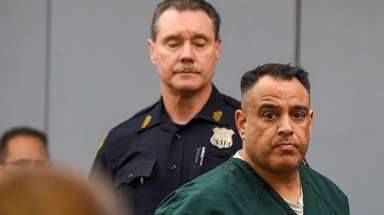 Cecere, 50, an Oyster Bay Town highway department supervisor in the road and drainage bureau overseeing projects related to drainage, driveway aprons and basins, and who is Antetomaso’s nephew, surrendered to authorities. Charged with official misconduct and theft of services, a misdemeanor. If convicted, Cecere faces a maximum sentence of 1 year in prison. Cecere was paid a base salary of $103,926 in 2016 and collected $5,450 in overtime payments, payroll records show. 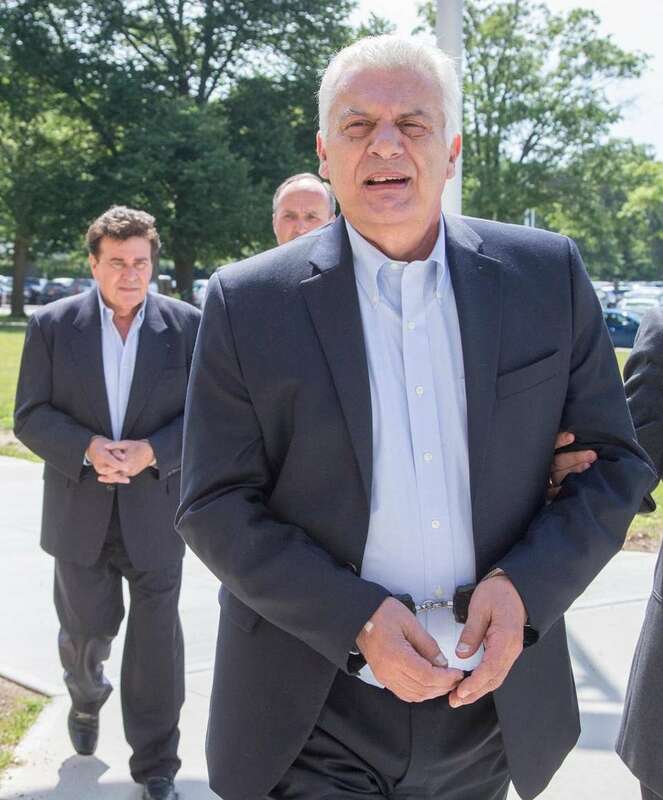 Porcelli Sr., 70, of Ronkonkoma, Venditto’s campaign manager and longtime friend, surrendered to authorities. 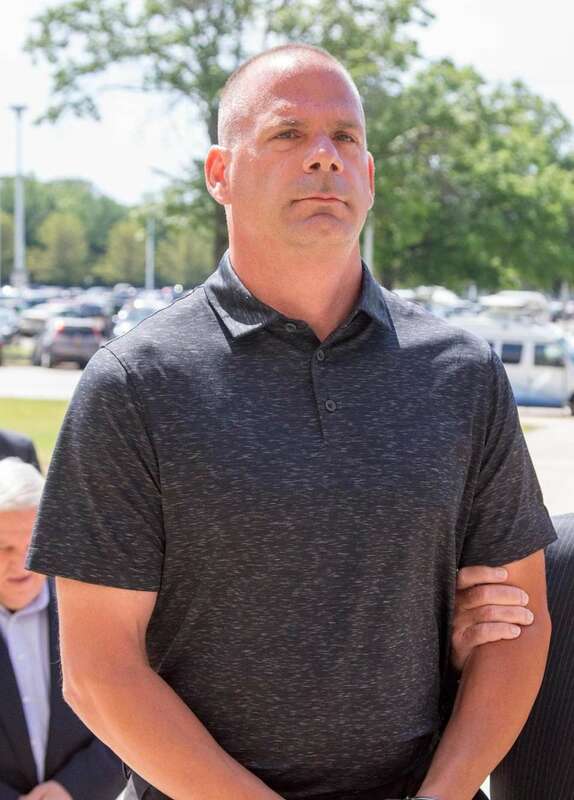 Porcelli, the deputy executive leader of the North Massapequa Republican Club, was charged with two counts of official misconduct and with conspiracy in the sixth degree, both misdemeanors. If convicted of the top count, Porcelli faces up to 1 year in prison. Porcelli did not work for the Town of Oyster Bay. 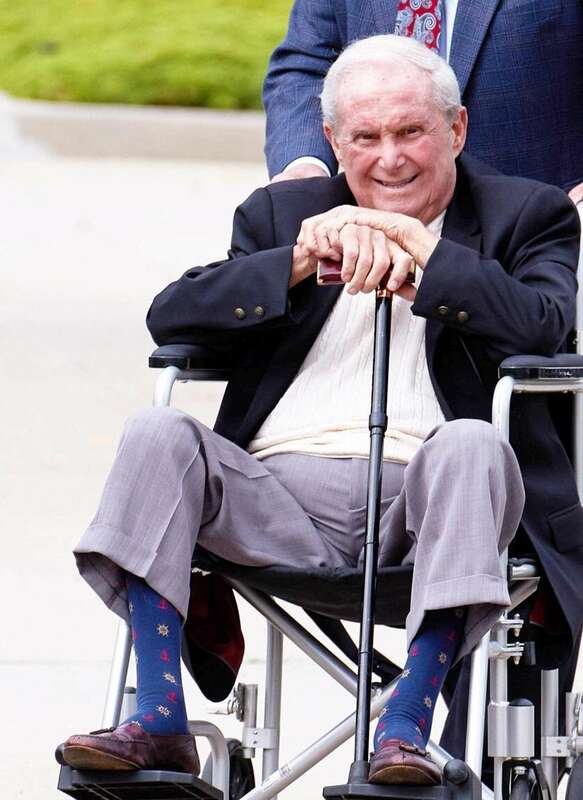 He retired in 1992 and receives a monthly state pension of $4,455, according to state records. 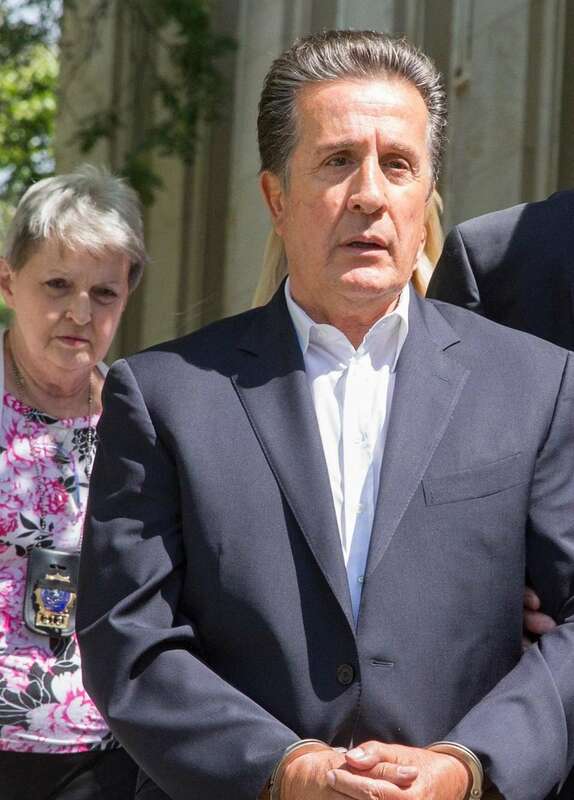 Nocerino, 65, of Massapequa, a former Oyster Bay Town parks commissioner and deputy commissioner of public safety, surrendered to authorities. Nocerino was charged with official misconduct, a misdemeanor. If convicted, he faces up to 1 year in prison. In 2016, he was paid a $114,000 salary as parks commissioner. Elia “Aly” Lizza, 69, of Oyster Bay Cove, the president and chief executive of Carlo Lizza & Sons Paving Inc., surrendered to authorities. Lizza was charged with 14 counts of bribery in the second degree, a felony; five counts of bribery in the third degree, a felony; 18 counts of rewarding official misconduct in the second degree, a felony; two counts of defrauding the government, a felony; and conspiracy in the fifth degree, a misdemeanor. If convicted on the top count, he faces up to 5 to 15 years in prison. Marisa Lizza, 61, Elia Lizza’s wife, also of Oyster Bay Cove, surrendered to authorities. She faces the same charges as her husband: 14 counts of bribery in the second degree, a felony; five counts of bribery in the third degree, a felony; 18 counts of rewarding official misconduct in the second degree, a felony; two counts of defrauding the government, a felony; and conspiracy in the fifth degree, a misdemeanor. If convicted on the top count, she faces up to 5 to 15 years in prison. Pleaded not guilty. Released on her own recognizance. The company, owned by the Lizza family, has long been one of Nassau’s largest and most influential road contractors, while its president and his wife have been leading campaign contributors to prominent politicians. 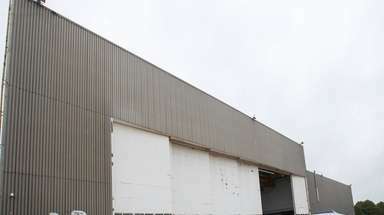 It received about $100 million in publicly bid Nassau County work between 2002 and 2015, Newsday has reported. Over that period, members of the Lizza family have given nearly $1 million in political donations to Nassau leaders and party committees. They include former Democratic County Executive and now U.S. Rep. Thomas Suozzi; current GOP County Executive Edward Mangano; Democrat Kathleen Rice, the former district attorney who now represents the Fourth Congressional District; and the Nassau County Republican Committee. 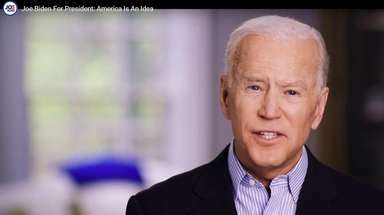 Charged with five counts of bribery in the second degree, a felony; bribery in the third degree, a felony; four counts of rewarding official misconduct in the second degree, a felony; two counts of defrauding the government, a felony; and conspiracy in the fifth degree, a misdemeanor. Ippolito, former Oyster Bay Town planning commissioner, also was indicted but he died in early June. 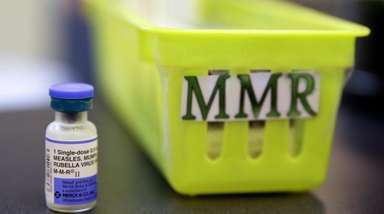 The indictment was handed up by the grand jury before Ippolito died June 4 at the Federal Medical Center in Devens, Massachusetts. 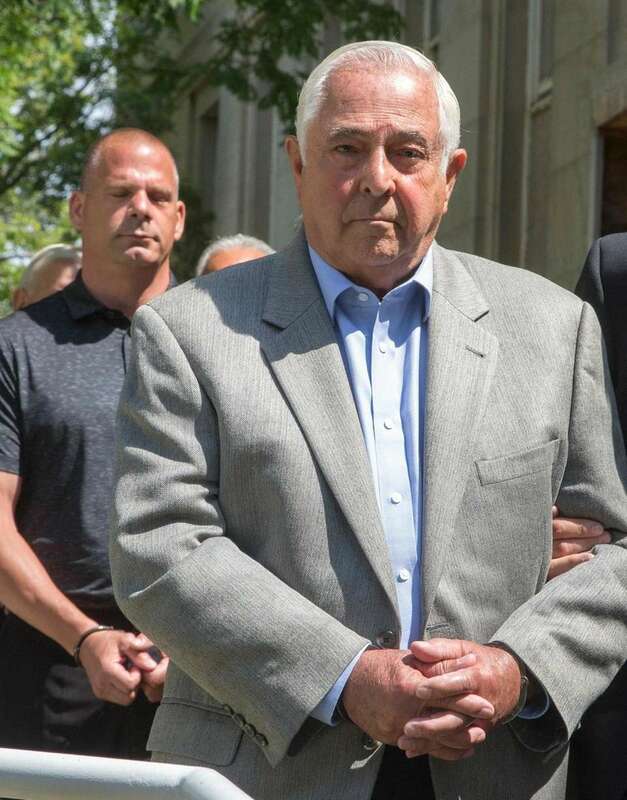 Ippolito, 78, of Syosset, was serving a 27-month prison sentence after pleading guilty in January 2016 to evading taxes in connection with $2 million in outside consulting fees he received while working as the town’s planning and development commissioner. The money came from Carlo Lizza & Sons and from the Lizza family trust, according to federal prosecutors. 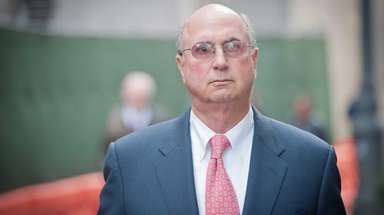 Nassau District Attorney Madeline Singas said after his conviction on federal tax evasion that Ippolito still continued to exercise influence over town matters. He was charged with two counts of money laundering in the fourth degree; three counts of defrauding the government; 56 counts of official misconduct; 44 counts of bribe receiving in the second degree; 10 counts of bribe receiving in the third degree; 53 counts of receiving reward for official misconduct in the second degree; and Theft of Services. 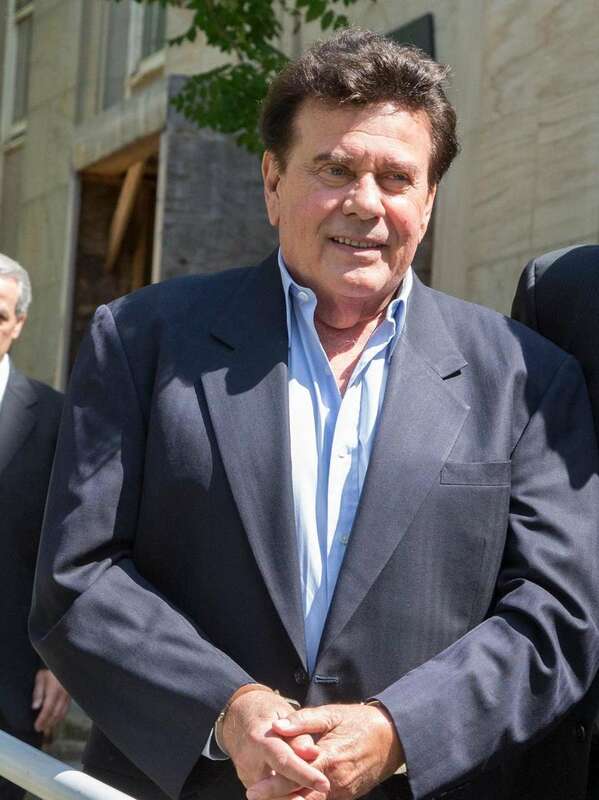 A onetime power in Oyster Bay and Nassau politics, Ippolito was sentenced in September. In addition to the prison sentence, the judge also ordered Ippolito to 3 years of supervised release and to pay nearly $550,000 in restitution. At the time of his death, Ippolito was appealing his sentence before the Second Circuit Court of Appeals in Manhattan. 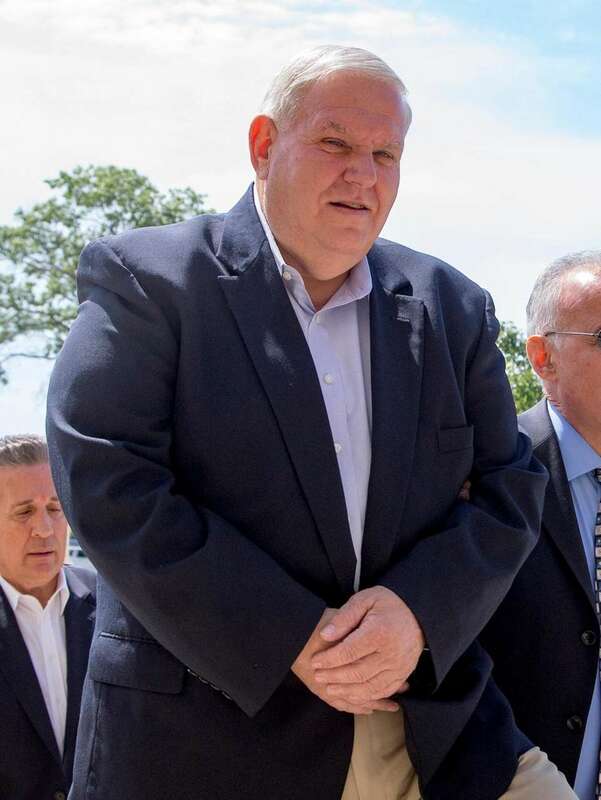 Ippolito’s attorneys alleged that although their client had pleaded guilty only to tax-evasion charges, the sentencing district court judge had apparently taken into account accusations of corruption in Oyster Bay Town in imposing the prison time. Federal prosecutors denied that this was a factor in the sentencing. Ippolito was paid $144,170 for the part of 2016 that he was planning commissioner, payroll records show.